Legio Minimus: New Tyrant Guard...Finished! Alright, I have spent enough time about what is wrong with the 6th ed Tyranid Codex so I figured it was time to look at what's right. 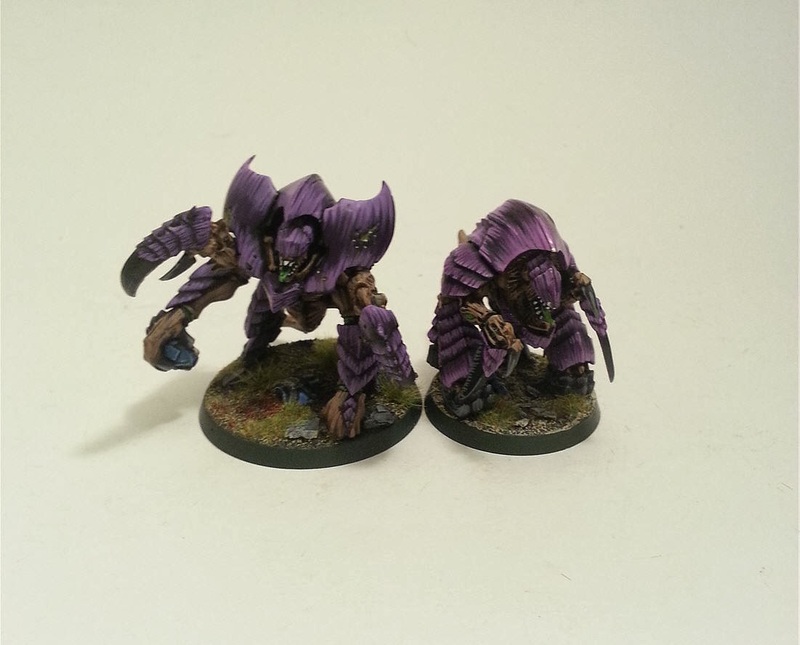 All the models for this release are absolutely fantastic, just like virtually all of the recent Tyranid models. The Tervigon, Trygon, Harpy and Haruspex are all some of the best kits that GW makes and they also did a fantastic job updating the standard warriors with the new kit.The one kit I purchased though with the codex was a box of Tyrant Guard as I only had 2 and they seem very small to me. For the most part I love these figs. They are significantly more dynamic than the previous edition and have tonnes of fantastic little details. I really love the ripped up Space Marines attached to their bases and the head in the one guys hand. I also love the battle damage on the figs. They are also tonnes of extra bits, some of which I have already used to update some of my older models. The only thing I DON'T like on this new model are the Tyrant Guard shoulder pieces. 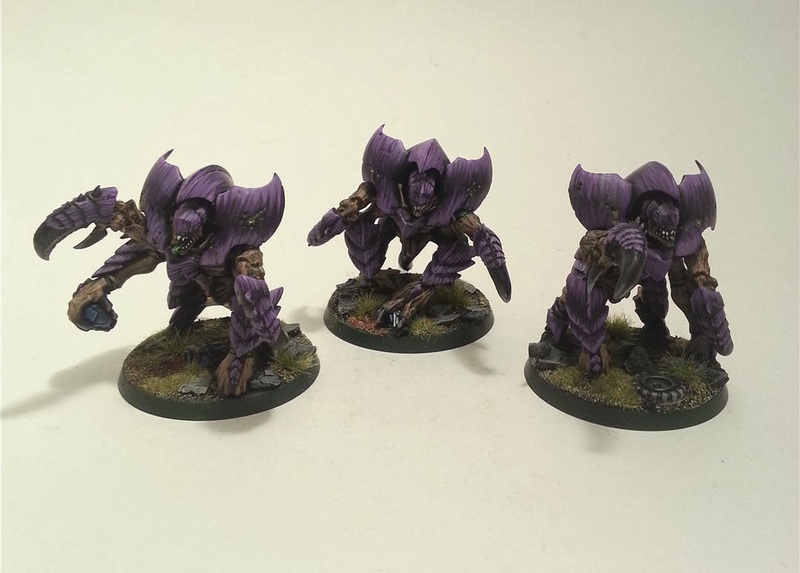 I originally didn't mind them until I put my Tyrant in the squad to see how they looked. The "swoosh" look of the shoulders has a completely different aesthetic then the rest of the army. I really wish I took the time to convert some new shoulder pieces to match the old models. That said I still might do that. Anyways, the models are still great and I am really loving how the bases turned out. Next Up: My updated Tyranid Prime! I am also starting to plow through my Gargoyles and the last of my Termagants. 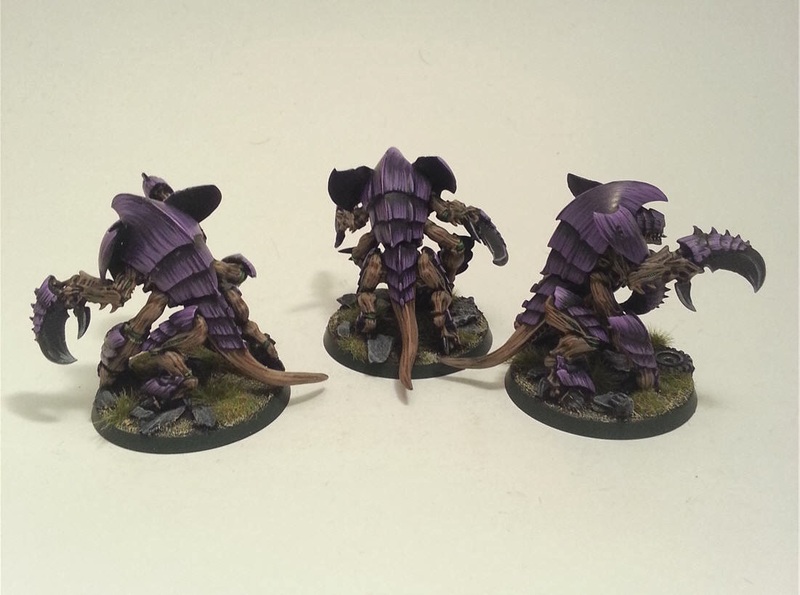 Big push at the moment is to 100% finish everything I have for my Tyranids. Looking forward to having a 100% complete army.